Five into 1.0 will go. Ford's C-MAX 1.0-litre EcoBoost might not get anywhere too close to its claimed 55.4mpg fuel economy figure in the real world, but for low mileage shop and school run duties, it's perfectly adequate. With 100PS or 125PS on tap, there's a bit of choice available too. It was once explained by a senior suit in the Lockheed corporation that there was a simple algebraic formula to assess the time it took for an aircraft to go from initial design to operational use by the US Air Force. It turned out that this period was directly proportional to the size of the Air Force oversight committee chosen to 'guide' the aeroplane design. It's a similar story in big automotive companies - which is one reason why it took Ford so long to develop credible compact MPVs and SUVs for the European market. Where the company has been ahead of the game though, is in its development of downsized three cylinder turbo petrol engines. 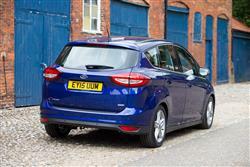 The brand's 1.0T EcoBoost unit, first introduced on the Focus and subsequently added in to the Fiesta and B-MAX line-ups, has been widely copied by rival brands. 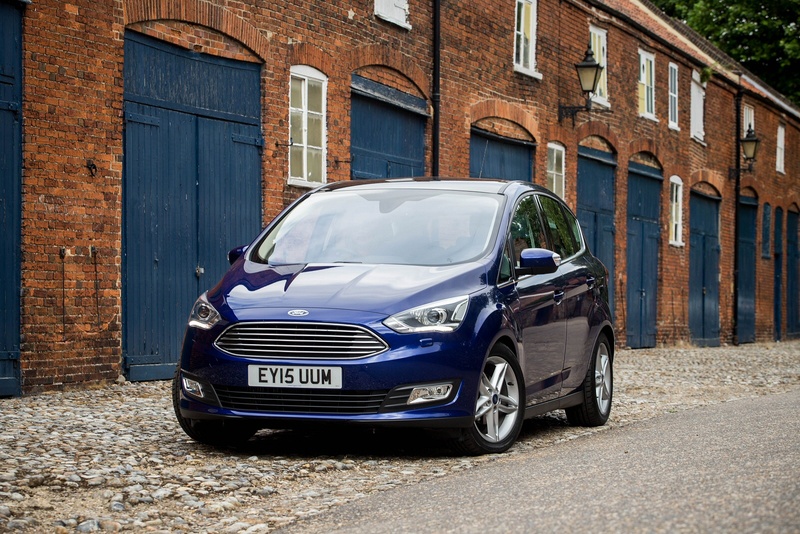 Even so, when the Blue Oval marque decided to introduce the powerplant into its C-MAX MPV model in 2013, many wondered if a step too far had been taken. These fears proved groundless. 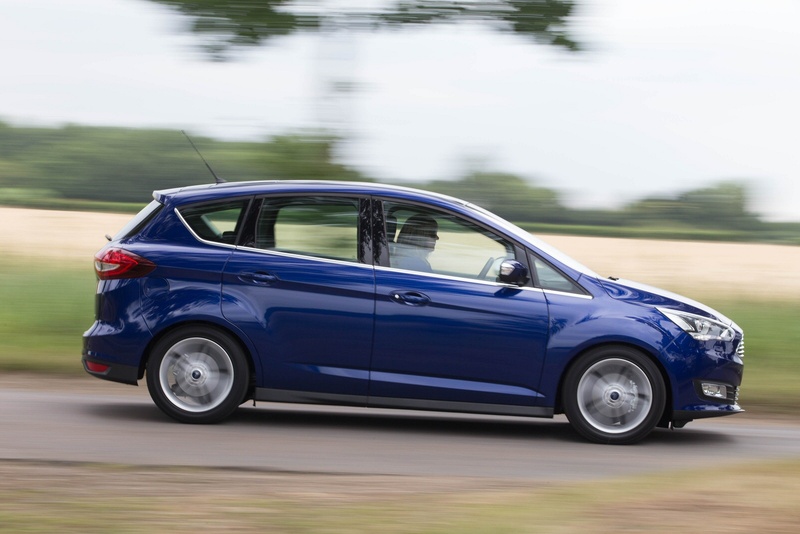 The little engine proved quite up to powering a relatively large car - and has been retained on the improved C-MAX model we're going to look at here as a decent, more affordable alternative to a diesel for lower mileage buyers. Ford offers the 999cc EcoBoost engine in two specific flavours. There's an entry-level 100PS version, which gets to 62mph in 12.6 seconds and tops out at 108mph. Or there's the punchier 125PS variant which translates those numbers to 11.4s and 116mph. Whichever engine you choose, you'll probably be pleased with the breadth of torque. They both idle quietly yet will offer meaningful urge from less than 1500rpm through to nearly 6,000rpm without the sort of lag and lunge that small capacity turbocharged engines often display. Of course, the 170Nm of torque common to both units isn't going to rival that of a diesel engine but believe it or not, these 1.0-litre units never feel reedy. 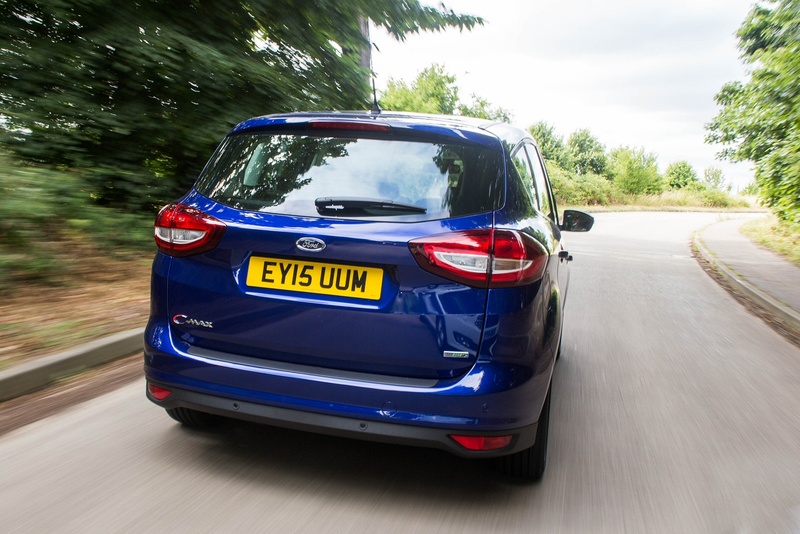 There's also the not insignificant benefit that instead of following a huge lump of diesel engine, you have a very lightweight piece of engineering plumbed into the nose, and that does wonders for the C-MAX's responsiveness. 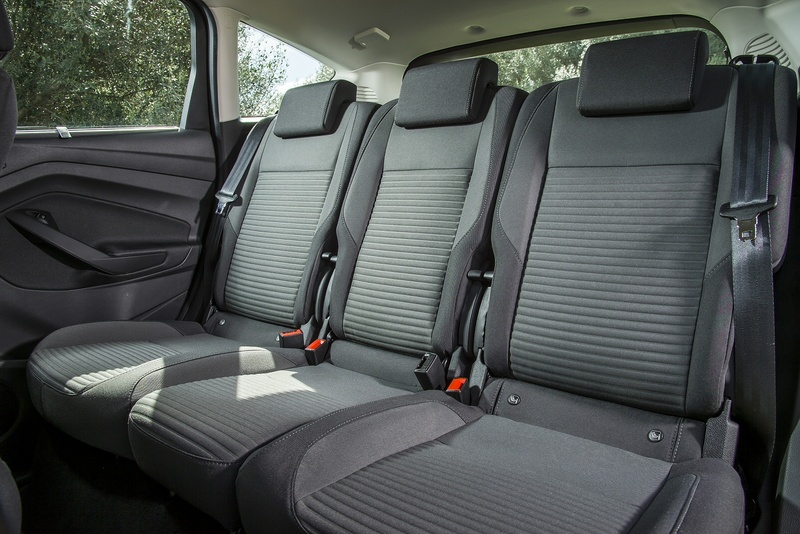 Ride comfort remains very good but initial turn-in is improved markedly and body control is leagues better than the diesel models. Couple that with good steering and decent grip levels and you have a vehicle that after an initially unpromising start, emerges as something you'd actually drive the long way home from the school run. 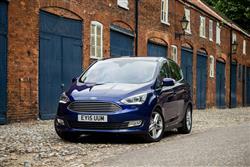 Ford offers a three model line-up to 1.0T EcoBoost C-MAX buyers, with the familiar Zetec, Titanium and Titanium X trims. Opt for the first two and there's a choice of either 100PS or 125PS power outputs, but the flagship trim level is limited to the pokier powerplant. 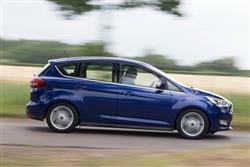 All are equipped with a six-speed manual box, with the Zetec opening at just over £18,000. There's a £500 premium if you want to progress from the 100PS to the 125PS variant. From there, it's a big step up to the Titanium model at over £20,000. At the top of the range is the Titanium X 125PS model, which needs a budget of nearly £23,000. So what do you get? 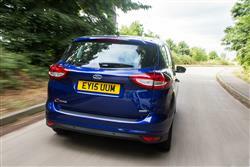 The Zetec models are fitted with 16-inch alloy wheels, front fog lights, heated door mirrors, air-con and a DAB radio. 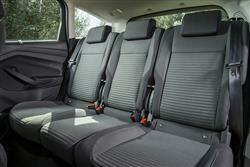 The Titanium versions get 17-inch alloys, automatic lights and wipers, climate control, a start button and cruise control, while the £2k premium for the Titanium X buys you xenon headlights, a panoramic sunroof, part-leather seats, heated front seats and a different style of 17-inch alloy wheels. 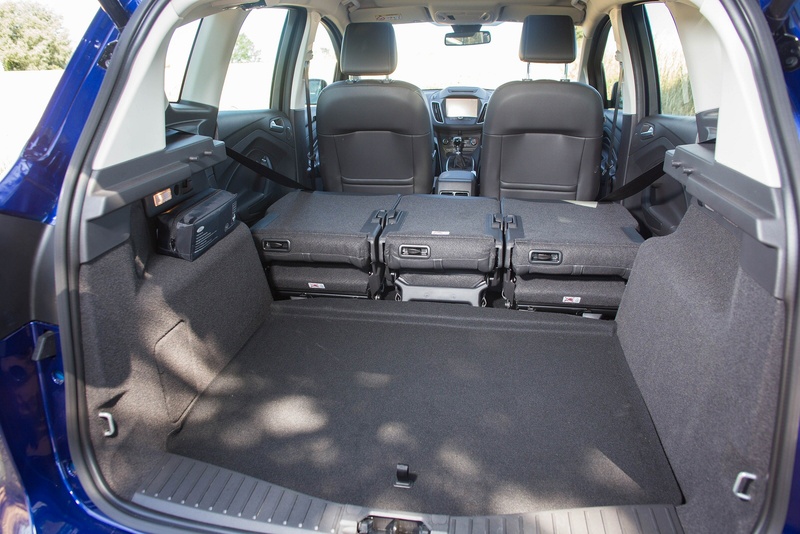 Options include one of those tailgate opener which operate when you wave your foot under the bumper, a perpendicular parking system and Active City Stop collision avoidance that operates at up to 31mph. 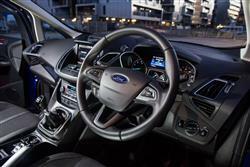 Ford's latest Sync2 voice-activated connectivity system is also on offer, delivering smartphone sync and the chance to control some of the car's minor functions by voice command. Although there are obvious benefits in terms of handling and upfront price over a diesel C-MAX, can the 1.0-litre petrol variant really justify itself on the balance sheet? If you're set to cover modest mileages that may well be the case, but it's worth remembering that the claimed miles per gallon figure of 55.4mpg will probably translate into about 40mpg in real world use. The petrol car counters by being cheaper to tax, cheaper to insure and cheaper to service as well. Given that petrol is around 8 per cent cheaper than diesel fuel, it's probably just about enough to swing the balance in the 1.0-litre car's favour if you're not looking to wear a groove in the nation's motorway network. Emissions are rated at 117g/km whether you choose the 100 or 125PS powerplants, and with a price difference of just £500 between the two, we'd be tempted to go for the 125PS unit and live with the fact that the key differences between the cars are just a few lines of code in the ECU. Insurance ratings open at Group 11 and top out at a modest Group 14. By contrast, an entry-level C-MAX diesel carries a Group 16 rating. 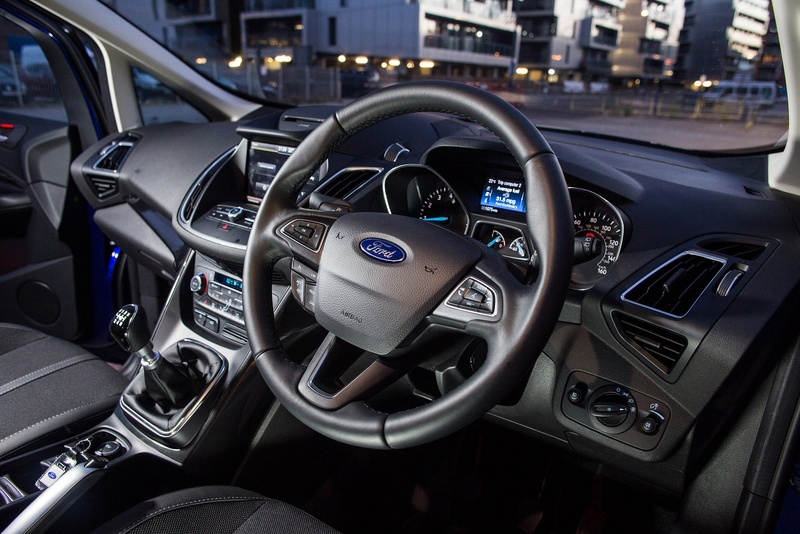 If you�re looking for a new Ford C-MAX 1.0 EcoBoost 125 Titanium X 5dr Petrol Estate for sale, you�ve come to the right place. 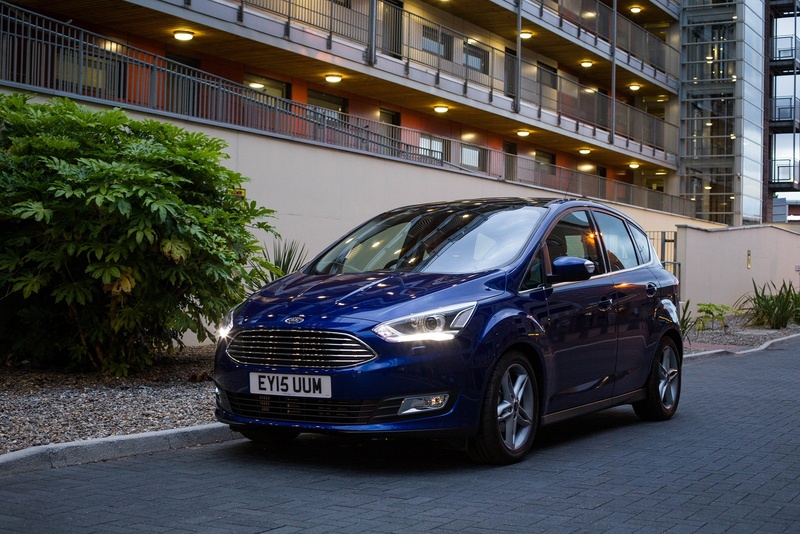 At Bristol Street Motors we don�t just have the best Ford C-MAX 1.0 EcoBoost 125 Titanium X 5dr Petrol Estate deals, we also offer friendly advice and help with all your enquiries to ensure your buying experience is a happy experience.